This post deals with the latter arrangement. Accenting the first of every group of three will give you a polyrhythm of 4 over 3. 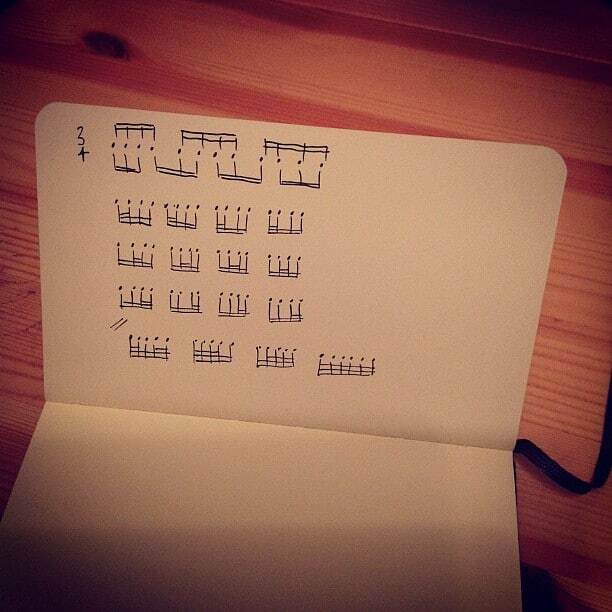 Now that you have that, try altering each group of three 16ths by adding some 32nd notes as in the notebook picture. Think of them as little polyrhythmic decorations.